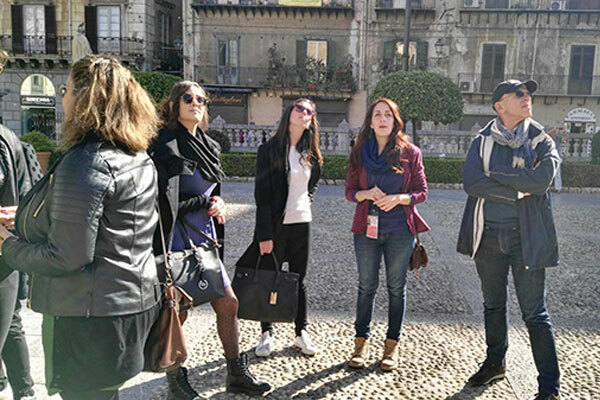 Simona Sciortino is a licensed tour guide, but above all she is a Palermitana Doc was born and raised in the historical center of the Sicilian capital. During the routes You'll discover Palermo and Sicily, from many points of view giving you historical and artistic notions and telling anecdotes that will reveal the peculiarities of our territory, so You can bring home an indelible memory of Your stay in Sicily. Groups of at least 5 people € 30,00; groups of min 10 persons € 15,00. Family children up to 8 years € 5,00 for Family Tour (free for other routes); from 8 to 18 years € 10,00. Young groups of at least five boys aged 18 to 25 years € 15,00. The cost of each route excluded we must always understood the tickets to individual monuments. € 30,00 per person (minimum 8 people).